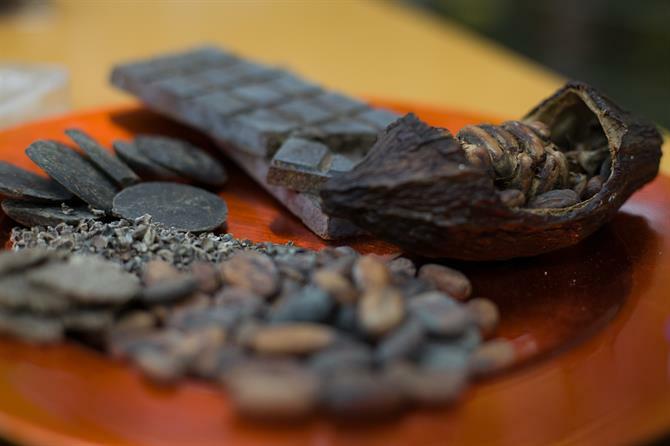 The Mayan Monkey Mijas, once known as the smallest chocolate factory in the world, use only natural, locally-sourced ingredients to create the best quality fresh chocolate. You can not only see the chocolate being produced, you can also, by arrangement, make your very own chocolate in one of the informative workshops. 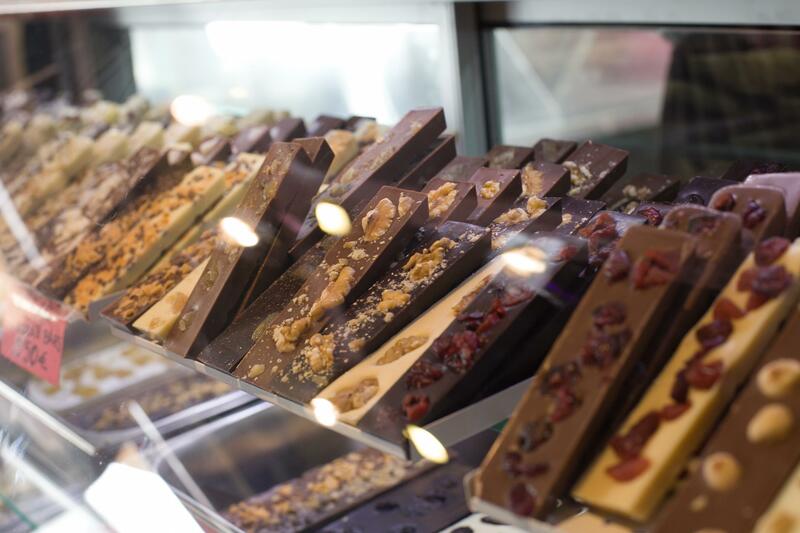 The Mayan monkey shop is a delight to behold and provides an unforgettable tasting experience to chocolate lovers of all ages. The name of the factory refers to the fact that the Mayans were the first to notice that monkeys were eating the cocoa pods and started producing their own cocoa-based products some 3,000 years ago. Cocoa was brought to Europe by the Spanish conquistadors, it was first used as a drink before the solidification process was developed at the end of the 19th century and soon became popular across the continent. There has been a substantial amount of research into the health benefits of chocolate, particularly dark chocolate, which has a high percentage of cocoa. Dark chocolate is very nutritious, having a good amount of soluble fiber, and a substantial amount of minerals, it is also high in antioxidants such as polyphenols, flavonoids and catechins. Other research has found that chocolate can reduce blood pressure and cholesterol, lower the risk of cardiovascular disease, protect the skin against the sun, improve brain function and has even been cited as an aphrodisiac. Chocolatiers Eli and Jason, proprietors of Mayan Monkey, have experimented with a surprising amount of flavours to blend with their chocolate. You can purchase traditional milk, plain and white chocolate, which can come with every type of nut imaginable, but to further excite your taste buds why not try one of the chocolates flavored with Anise, Curry, Cardamom or even Chilli, which is unusually pleasant. If this is not enough for you then try the flavoured ice creams or other sweets on offer. 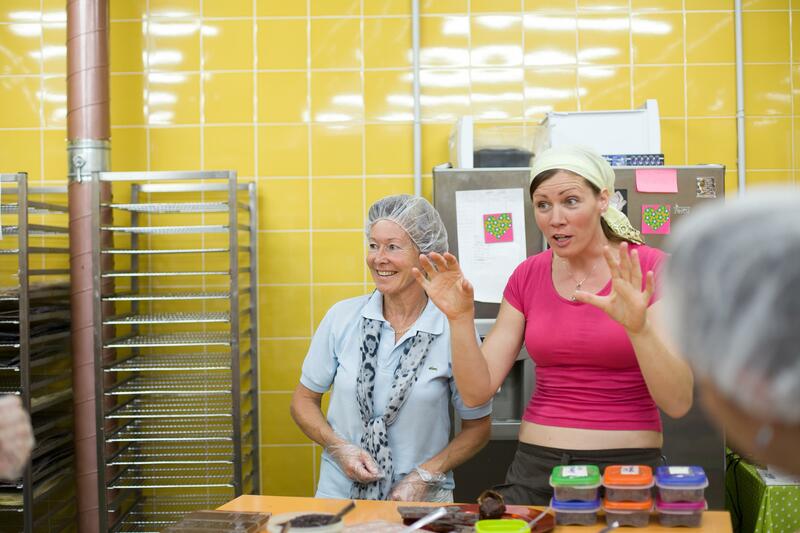 Mayan Monkey also offer workshops for anyone wanting to try their hand as a chocolatier. 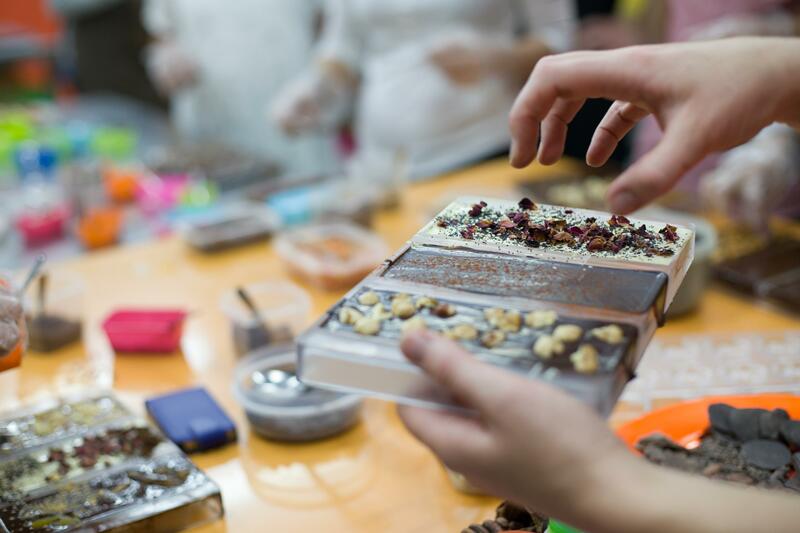 You will taken through the origins of chocolate making followed by a hands-on process where you will learn to design, paint and mould three bars of chocolate which you can proudly take home with you. During this workshop you will get to taste chocolate from around the world. Workshops can be tailored to the size and ages of your family but it is recommended that children should be over 6 years of age, and should be booked in advance. Workshops are offered in a number of languages that include English, Spanish, Catalan, French, German and Italian. The shop-café is located on 524, Plaza de la Constitución a short walk uphill from the tourist office, just below the bullring. Open 7 days a week, workshops are available from 12.00 to 17.00 every single day. You do not need to book in advance for the 'express workshops'. Open from 10.00 to 19.00 (Oct – May) and from 10.00 to 22.00 (June – Sept). From the exit of the multi-storey car park, cross the street onto the square. Come halfway across the square and look right - you will see "Chocolate Factory" in big chocolate-brown lettering. You have arrived. Top tip: from the petrol station and two roundabouts at the village entrance, follow the blue and white "P" signs all the way to the multi-storey car park, which costs 1 Euro (yes, 1 Euro!) for a full day's parking! This picturesque town occupying an impressive position in the Sierra de Mijas offers stunning views of the Costa del Sol and much more. The chocolate factory previously known as the world's smallest and one of the best attractions on the Costa del Sol, meet the Mayan Monkey Mijas.